We care for your pet! Pet Fun SPA grooming service offers the very best in dog grooming. 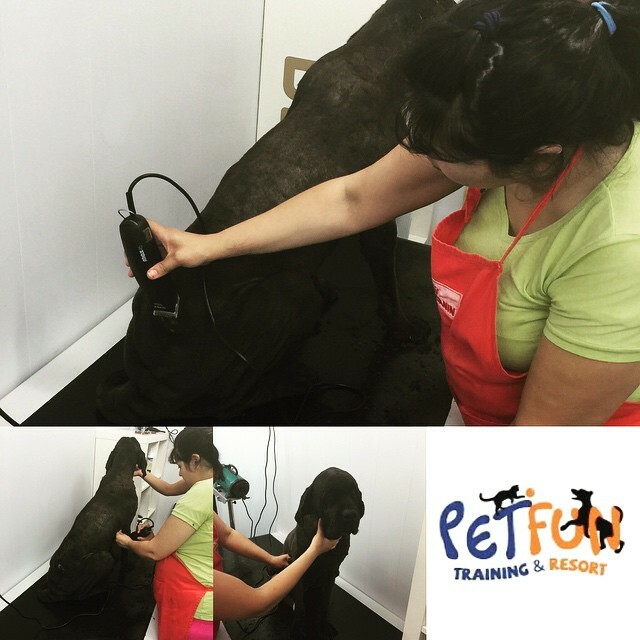 Our friendly, professional staff provide you with the services to maintain the individual needs of your pet’s coat. Dogs and cats receive hands-on care from academy-trained, safety-certified pet stylists dedicated to making them look good and feel great! If your pet is staying at our Pet Fun Hotel just schedule the service when you make the reservation. Also, in case you need, we can pick and deliver your pet - Pet Fun Taxi.